The Association Sole Luna – Un ponte tra le culture, which has always cared the young people, school and talents, starts this year two pilot projects in the area of Treviso, whose aim is to enhance the study, research and professionalism through the paths of excellence. The schools that will interact with the Festival are: the Giorgi Fermi Institute and the Art School of Treviso with two projects very different from each other, but united by the intention of stimulating the energies of the youth in the specific realization of their projects. These early examples of interaction of an international cultural event with the school are just the beginning of a process of involvement of the younger generations. An incubator that has to germinate the seed of curiosity for knowledge and art, and which must also encourage young people to express new ideas and in daring to test their skills. The association Sole Luna – Un ponte tra culture, in collaboration with TIMvision, has organized a week of study on the potential of the smartphone as a video camera. The workshop is intended for students of the course of Audiovisual and Multimedia Art School of Treviso. During the week of the festival, students will acquire the skills to make short documentaries, led by the film-maker Giovanni Pellegrini, and will be invited to debate the topics chosen this year by the festival: integration, food and water. 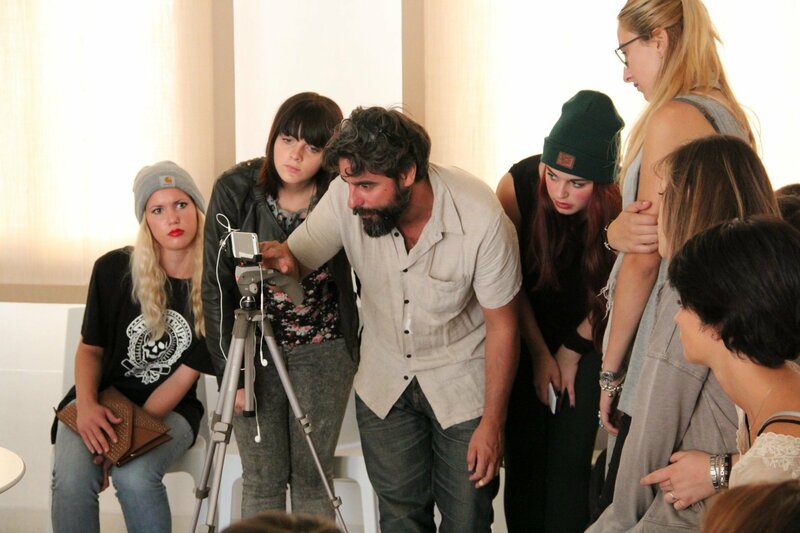 Guido Marchesini, the teacher responsible for the course, will oversee the entire workshop and spur the students, in the academic year 2014/2015, to continue the production of short video clips. Giovanni Pellegrini (Venice, 1981) took a diploma in documentary filmmaking at the Experimental Centre of Cinematography in Palermo. In 2012 he was awarded the Enel Green Power – New Energies prize together with Chiara Andrich at Sole Luna Festival in Palermo, an award that allowed them to shoot the documentary “Bring The Sun Home”, which premiered at the Locarno Film Festival. He is currently working on the documentary “Ali di tela” (Wings of canvas) about the world of free flight in Sicily. studied the exploitation of the waterways in the municipality of Treviso through small hydroelectric power plants. the students presented their work was held in May 2013: the waters of Treviso: technical proposals for the restoration of an ancient energy resource. The feasibility study is now supported by the Lions Club Treviso Eleonora Duse which believes in the need for exploiting the local water resources, respecting the environment and re-evaluating the local tradition of the mills and fan shaped windows. The Club also works to create a synergy between school, Institutions, Organizations, Companies, which represents an essential strategy to connect young graduates with the world of work.